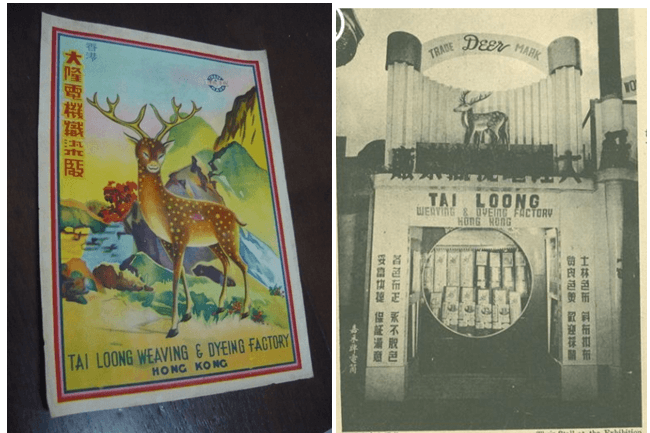 Tai Loong was one of the major pioneering weaving & dyeing factories in HK. The firm manufactured various colored fabrics under the Dear trademark, and in such varieties as homespun fabric, colored fabric, cohesive fabric and woven fabric. Business was booming in the early 1950s and a 20000 sq ft, 2 story plant was built in Ma Tau Kok Road in 1952. The next year another 2 story factory building was added next door, with one housing the weaving operation and the other the dyeing operation. The rent for the entire property from the government was only HK$5081 per year with property tax of HK$7876 although the cost of construction and machinery was close to $400,000. 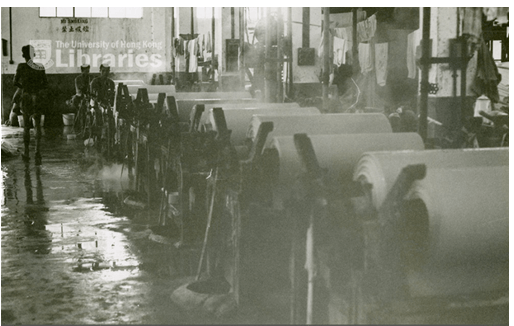 At its peak, the Ma Tau Kok plant was dyeing 100,000 yards of cloth per month with 150 workers. 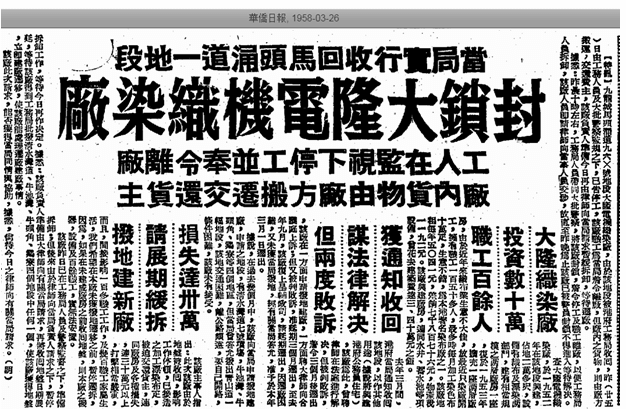 In March 1957, the government decided to take back the land for re-development and gave Tai Loong the eviction notice. 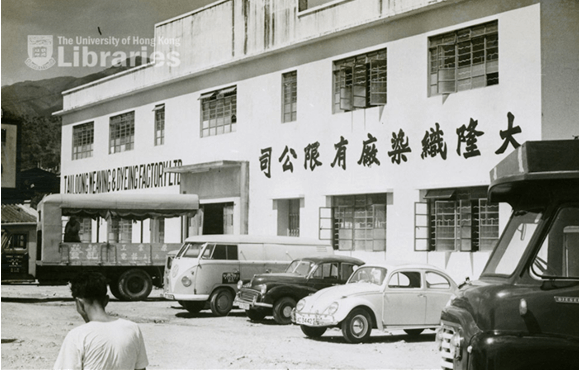 A year later in March, 1958, Tai Loong had yet to leave the premise and as a result, the Department of Public Works and police were dispatched to close the plant by force and evict Tai Loong. The total losses for the firm was estimated at HK$300,000, a sizeable sum back in the day. By 1961, a new factory was built at Lot 719 in Kwai Chung. In addition to Tai Loong, Chong also owned Tai Loon Weaving & Dyeing Factory (大綸漂染廠) and Tai Yat Weaving Factory (大一紡織廠, incorporated in 1966 and dissolved in 2003) which manufactured cotton mesh bags and clothes. In 1969, Tai Loong was listed as a subsidiary of Wang Tai Hong, a garment import/export firm which operated out of 17 Gilman’s Bazaar. Chong Hu-kwong was still alive as of 1974 in his 70s. 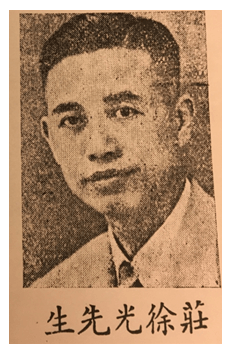 By the 1980s, Tai Loong was a part of the Lai Sun group, founded by Chong’s fellow Chiuchow native Lim Por-yen, who had installed his eldest son Lam Kin-ming as a director of Tai Loong. According to the 1985 Directory of HK Industries, Tai Loong was located at 502-510 Castle Peak Road and its general manager was Wong Fai. As a firm, Tai Loong Weaving was incorporated in 1960 and dissolved in 2005. This article was first posted on 26th March 2018.